The average Hyderabadi’s love for biryani and kebabs is well-known. 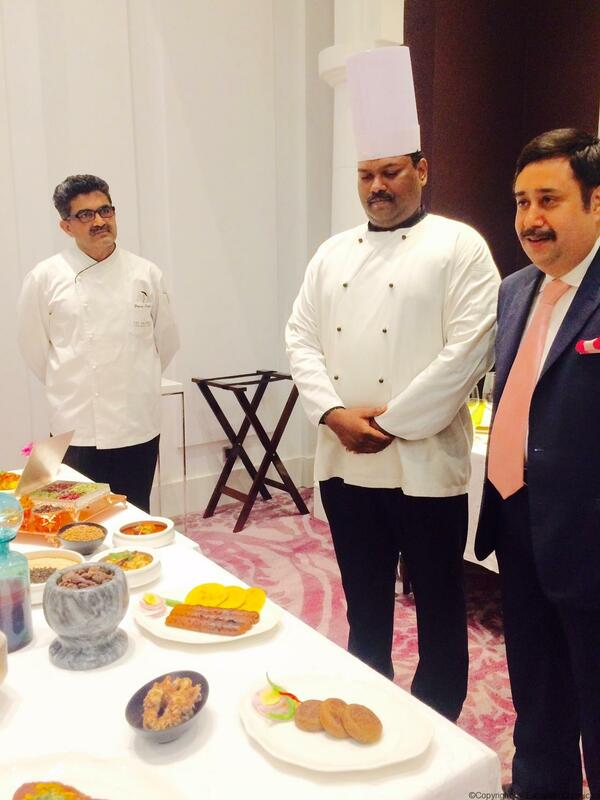 So, is it any surprise when ITC Hotels’ iconic brand Dum Pukht gets diners in droves when it launches in Hyderabad as Dum Pukht Begum’s? 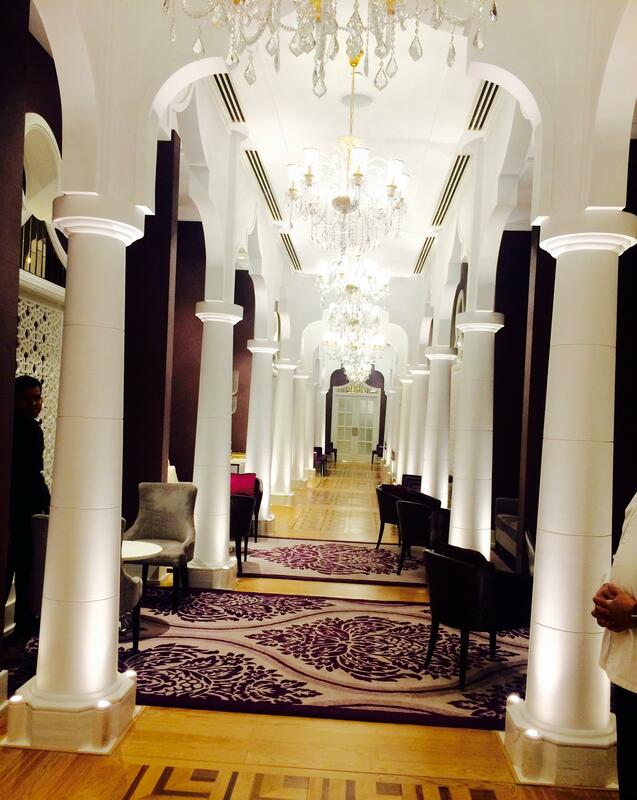 “In Hyderabad, the name Begum’s has been added to the original Dum Pukht umbrella brand because, as we understand it, the women from the royal families of Awadh and Hyderabad princely states wielded a lot of power and this is a tribute to those magnificient women,” shares Yogen Datta, executive chef of ITC Kohenur. ITC Kohenur which opened its doors to the city in June, saw the city’s food buffs queue up to try out the exotic fare at ITC’s signature restaurant. Some of us, Eatopian Chronicles included, were privvy to a special preview bloggers table even before the formal launch. The ambience as one walks down the chandelier-laden corridors of Dum Pukht Begum’s is both opulent and stunning, with its wine-colored upholstery and high ceilings and silver tableware.There is also a PDR with an elegant ambience with a huge round table around which a dozen people can be seated, and it is here that we are dining.The service is impeccable, and the menu boasts of royal recipes of Hyderabad, Awadh and other regions. 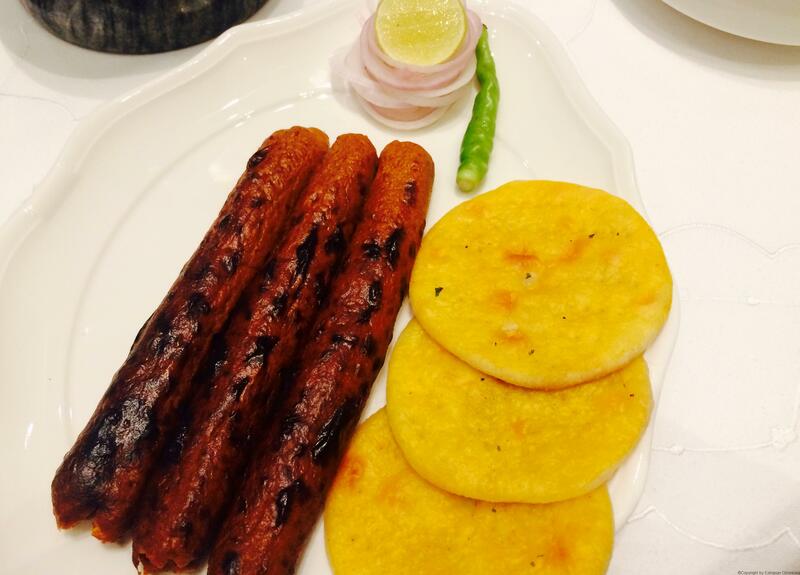 We dined on a host of menu options, such as kebabs, Qorma, Qalia, Salan, Nehaari and of course, biryani as well. For kebabs, there was Mahi Lagan Zaffrani, Seb Zamini, Hara Kebab Awadhi, and last, but certainly not the least, the absolutely delectable, melt in the mouth Dum Pukht Kakori, which was of such a perfect texture that it was soft to the just right texture not to break. The perfect blend of ‘garam masala’ with finely minced lamb and served with a sprinkling of saffron was just what the royals ordered! In main courses, Nizami Dum Ka Murgh stood out for its perfect taste of spring chicken, marinated in saffron, almond, charoli nuts paste and cooked in dum. 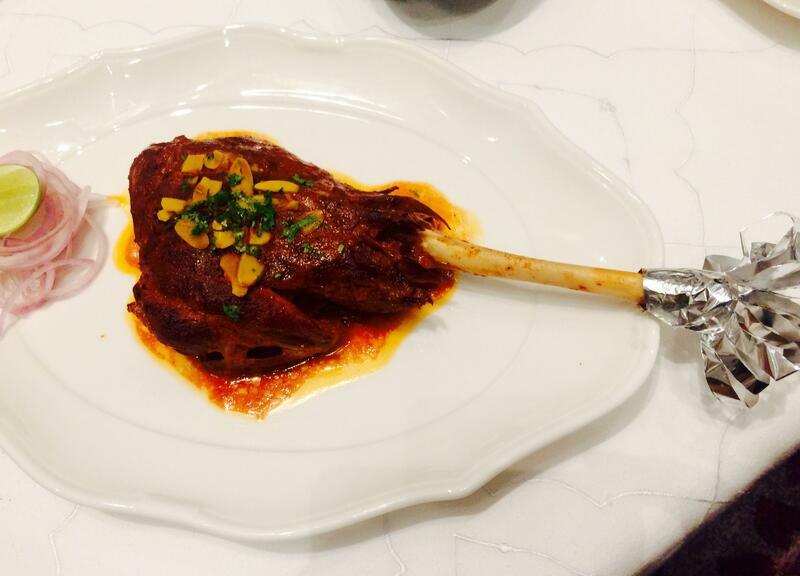 Dum Pukht Koh-E-Awadh, mutton shanks dum-cooked in own juices and perfumed with saffron, which was more robust and simple-flavoured, also held its own. 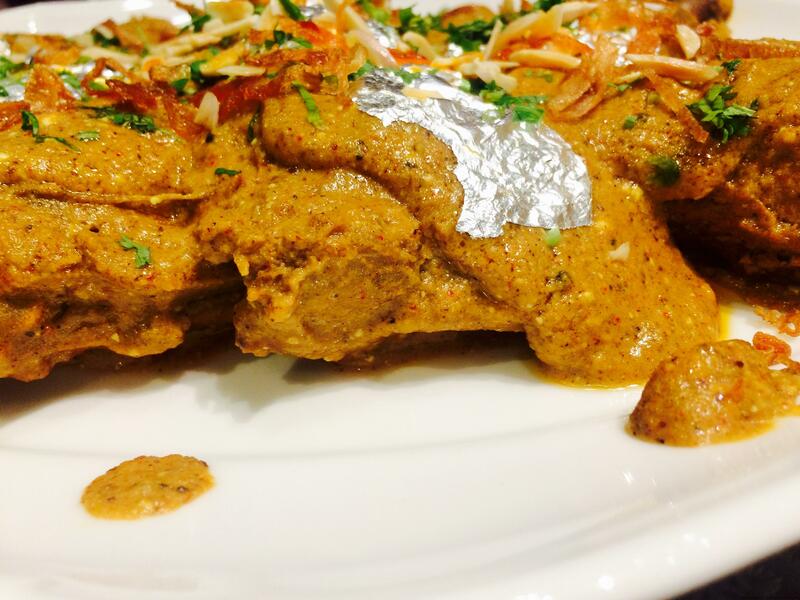 Nizami Dum Ka Murgh was quite opulent with saffron, almond and charoli nuts paste and then cooked over dum.. However, the most-applauded dish was surprisingly vegetarian in a restaurant feted for its meat-based delights. Gucchi Pulao, saffron-fragrant basmati rice cooked with morels, stuffed with herbed cheese and cooked in a sealed handi with cardamom..could it have been anything other than divine? In fact, the unanimous verdict around the bloggers’ table was that the mushroom pulao stood its own ground and perhaps more in the presence of Dum Pukht biryani. Considering the exorbitant price tag of the gucchi or morel mushrooms (a kilo would cost you about Rs 26,000), which grow in the wild in Kashmir , you obviously are in for some exotic dining experience. The earthy, aroma of the gucchi mushrooms was just something else! Gucchi Pulao: the black blob in the pic is the Gucchi mushrooms…this one is exotic! The bread basket at Dum Pukht Begum’s also stood out for the very offbeat assortment. While the Warqi Paratha, and Khamiri Roti were known entities, what was an absolute new for me and, in a delightful way, was the Naan E Bah Khummach and Mande. The former was unleavened semolina (sooji) and whole wheat flour bread, sprinkled with poppy seeds (khus khus), aniseed (saunf) and baked ina tandoor. 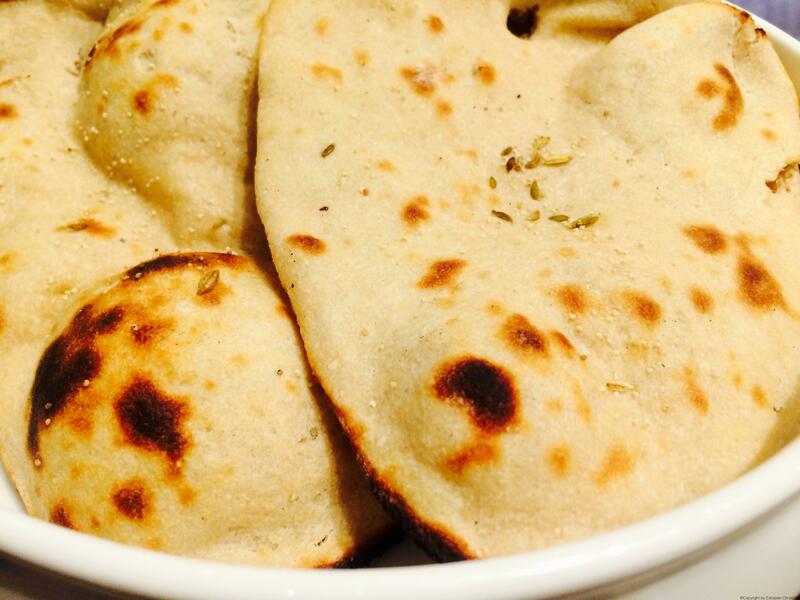 Mande was a paper thin whole wheat flour bread cooked on an inverted dome shaped griddle. Khummach Roti was delicious: wheat flour, unleavened semolina and dusted with poppy seeds and saunf or aniseed..yummy! Khwaan-E-Shireen and paan spelt a sweet ending to a gracious meal. 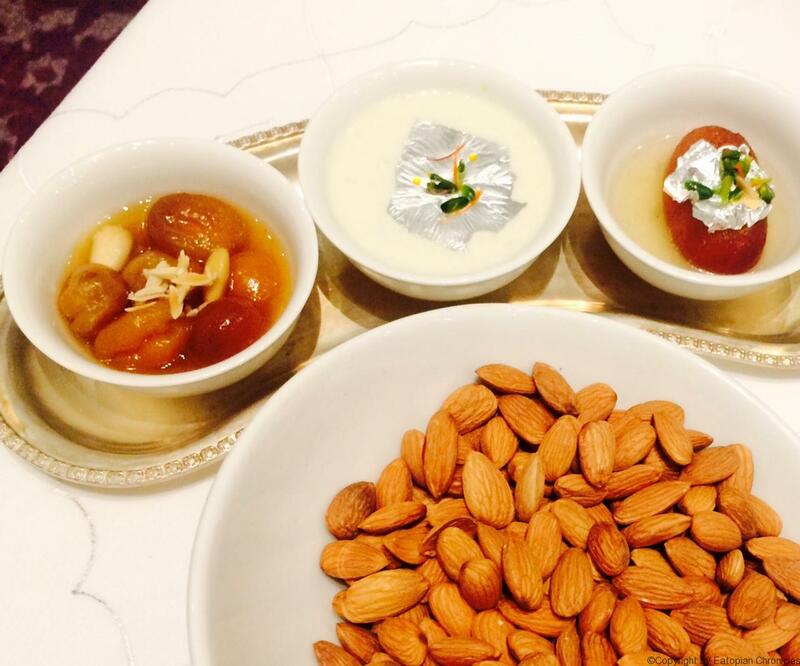 The desserts platter consisted of Badami Kheer, Khubani Ka Meetha (Hyderabadi stewed apricot delight) and Shahed-E-Jaam (gulab jamun soaked in a honeyed syrup)..talk of royal tastes! 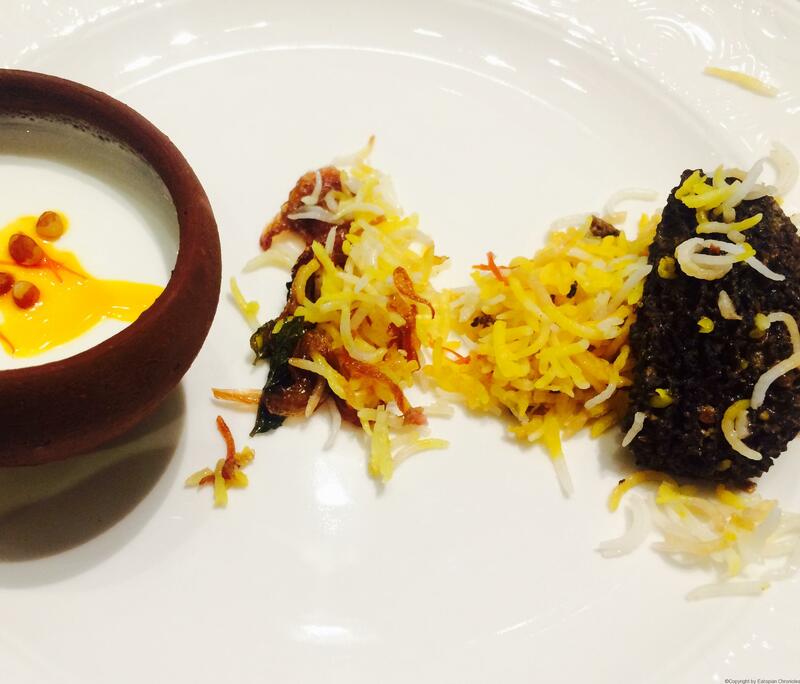 Undoubtedly, Dum Pukht Begum’s will raise the bar of fine dining in Hyderabad. Great post! Thanks for sharing informative information with us.